We generally meet on the third Thursday evening of every month in members’ homes. We also sponsor BYOB dinners at local restaurants and other special events for members throughout the year. Tasting events use a familiar format of themed wine tastings (ie: “Red wines of Washington State”, “New Zealand Sauvignon Blanc”, “Bordeaux 2005”, etc.) on a monthly basis. 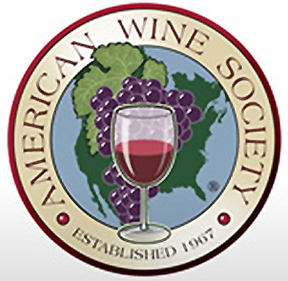 The tastings feature five or six different wines, paired with cheese or light hors d'oeuvres in a social, but educational setting, using the 20 point AWS scoring system. The focus of the group is first of all to have some grown-up fun, but also to increase your knowledge and taste for wine. The success of the group depends on participants at ALL levels of appreciation, including the complete novice (“I just know what I like”) to the well-versed enologist. We currently have many casual wine enthusiasts, as well as certified wine judges and winemakers. If you would like to get an idea of the types of things we talk about at our meetings, Click Here to watch AWS Director of Education, Aaron Mandel explain the evaluation sheet that is used at every single tasting that we host. National dues are currently $62 per year, per couple or $49 for an individual. There is also a local chapter dues of $10 per year per person (waived for newcomers). Payment of annual dues entitles members to participate in all chapter events and to receive all AWS publications. We are non-profit and are not trying to sell you anything. You are welcome to try out IVAWS by attending up to three meetings before joining the national organization. The only cost to attend the monthly meetings is to cover the cost of wine & food. Meetings generally average about $18 per person with a range anywhere between $10 to $35 per meeting (depending on the topic). Indian Valley AWS is centrally located near Lederach, PA with most members within a 5 to 10 mile radius. If you are interested in giving us a try, simply send an email with your interest and we will put you on the mailing list for the next event.